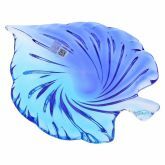 The beauty of nature meets the finesse of Murano Glass craftsmanship in this gorgeous centerpiece Bowl handcrafted by supremely talented glass artisans on Murano island. 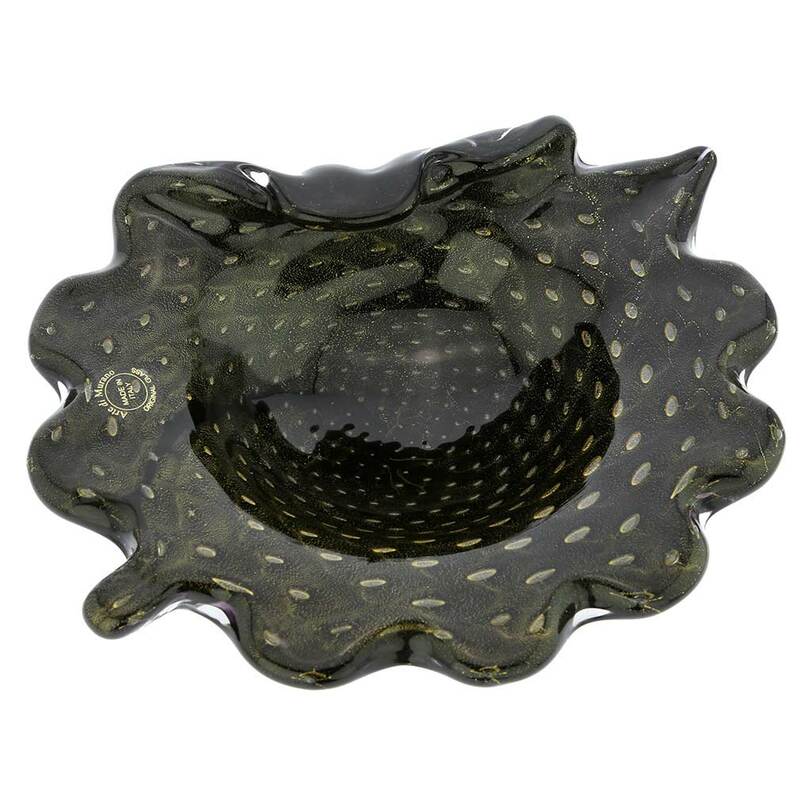 Its artistic look is achieved through elegant floral shape, the beautiful classic color combination of black and gold, and a stunning pattern of controlled bubbles. 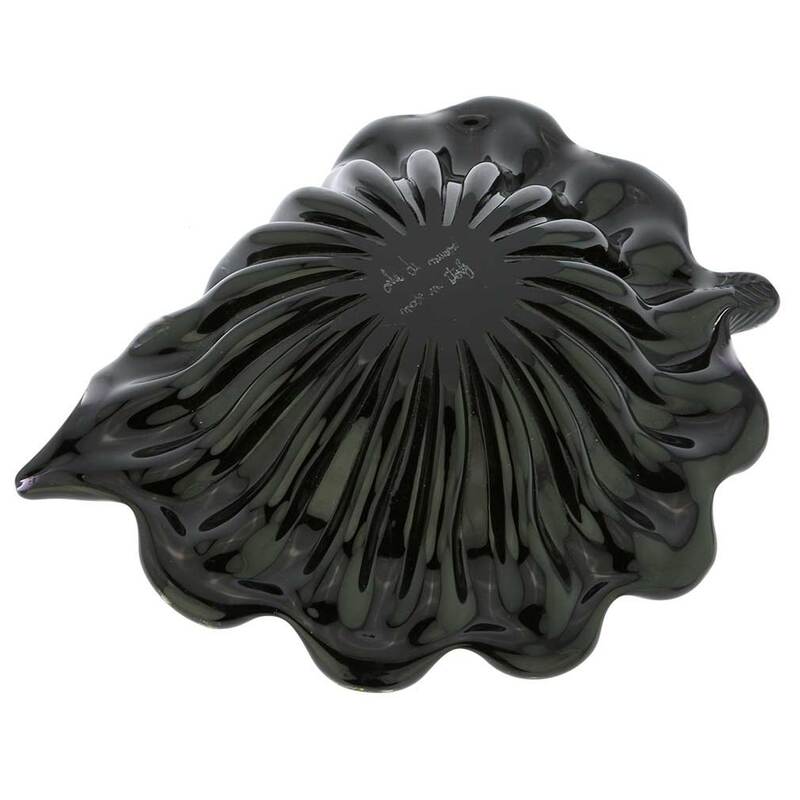 These features make the Black Leaf Centerpiece Bowl the perfect accent for any interior design - from classic to modern and contemporary and an amazing gift for any special occasion. 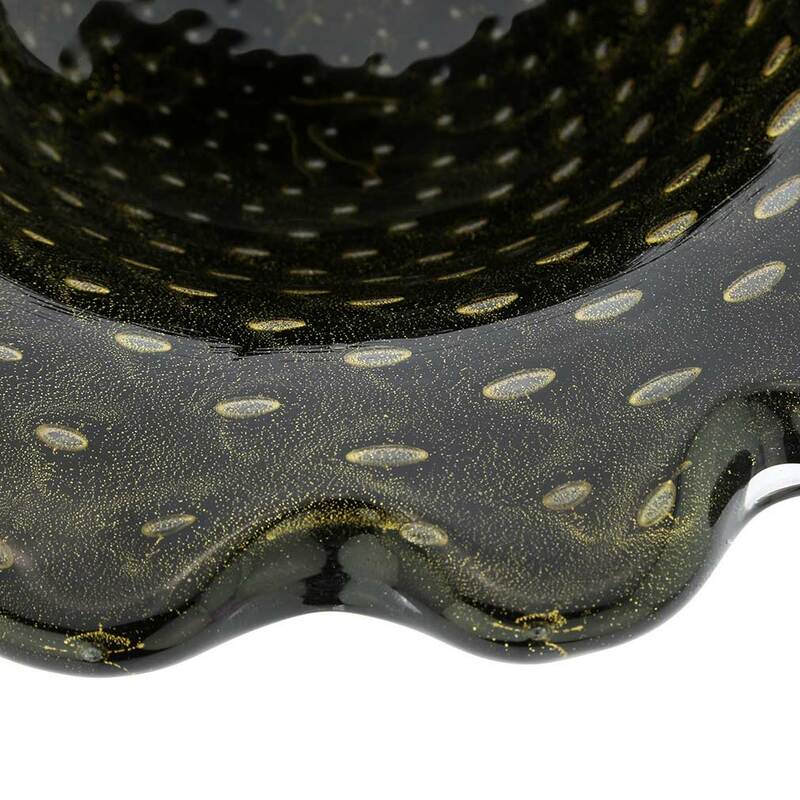 The use of the complex Murano Glass technique called Bullicante to create controlled bubbles inside the glass, along with sparkling 24 karat gold leaf inside the glass are the tell-tale signs of authentic Murano Glass Art. 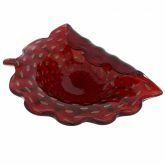 Bullicante technique requires the level of sophistication and perfection that can be found only in Murano's famous workshops, and real gold leaf is the signature feature of genuine Murano artworks. 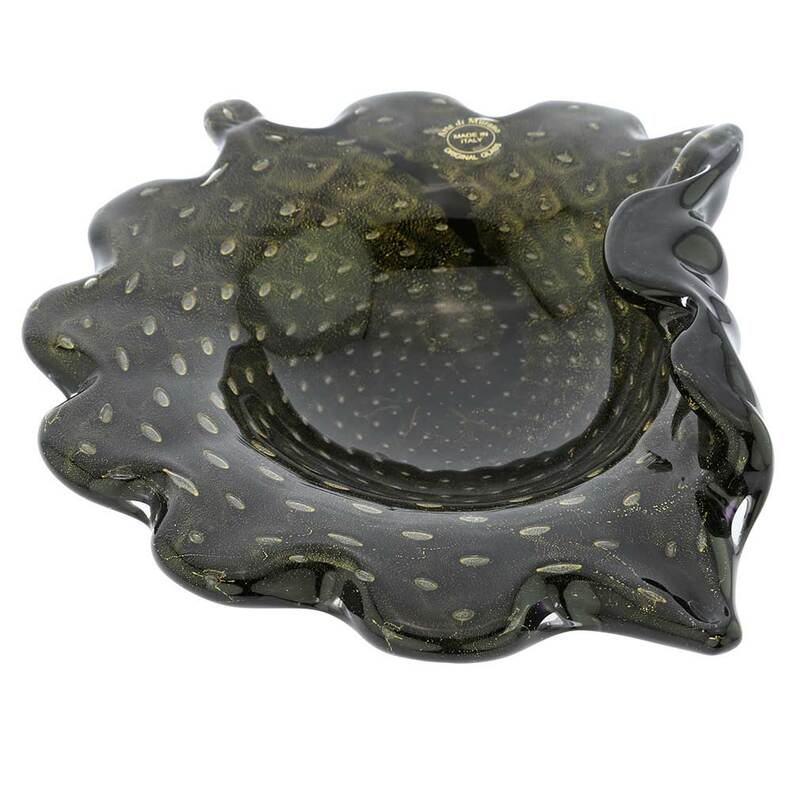 The well-known masters of glass-making, whose lineage goes back to the famous Murano artisans of the centuries past, poured their soul into creating this beautiful bowl, which epitomizes the rebirth of traditional Venetian crafts. 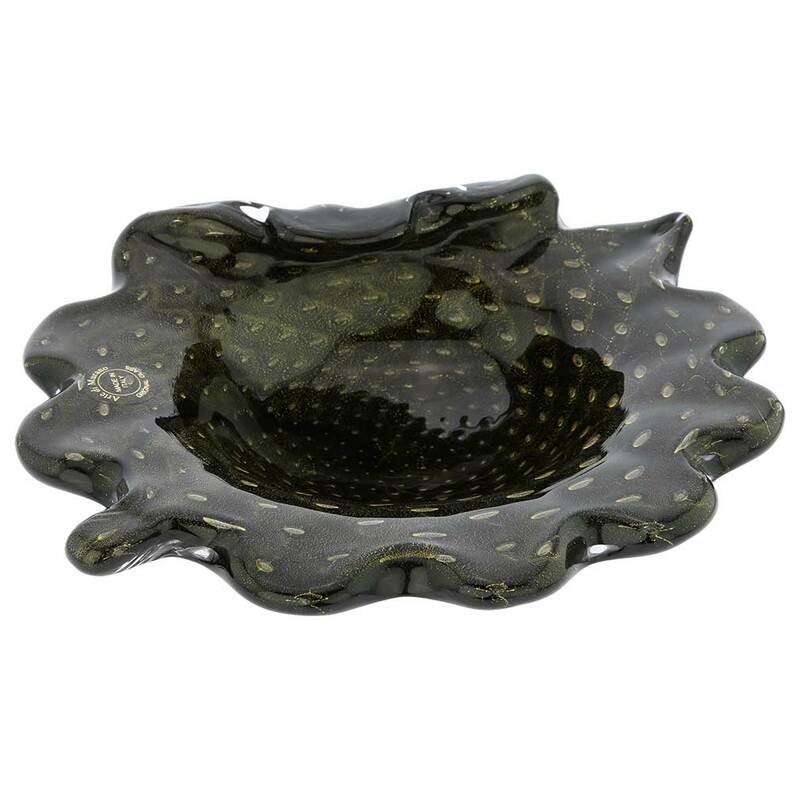 Measurements: This unique Murano bowl measures 11 x 8 inches, and 3 inches in height. 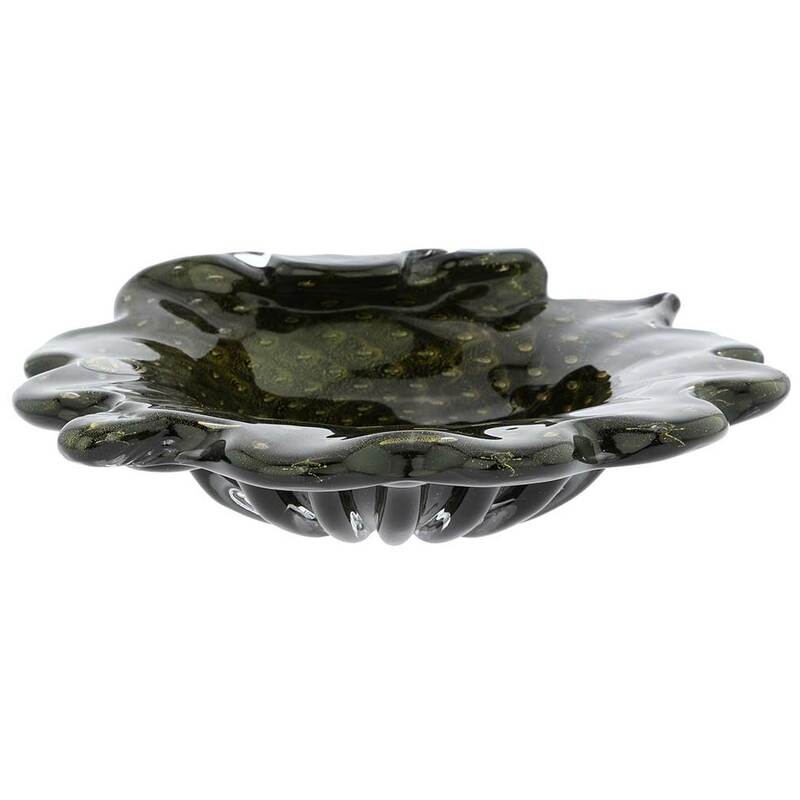 Authenticity: This decorative bowl comes with the authenticity sticker, the signature of the master glassmaker, and the certificate of authenticity. 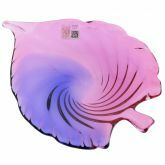 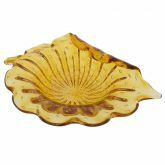 The bowl can be used as a decorative item on a coffee table, mantle,or shelf, or can be a functional piece, holding sweets, fruits, or a potpourri. 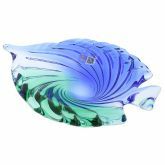 As this Murano Sommerso bowl is a unique piece of art made by hand, some variations of colors and patterns are possible and serve as an additional assurance of the authenticity.